or maybe it’s your hips and thighs. helps you to get rid of… let me show you how it works. What if there was a way you could easily lose 7, 12, or even 23 lbs in less than 3 weeks? Don’t you think you’d feel a lot more comfortable if you could lose 23lbs in less than 3 weeks? And that’s why I use this EXACT 17 to Lean Body Diet before all my photo shoots! defined, and toned before showing off my abs. is So Easy to Use! vacation in less than 3 weeks flat- it’s guaranteed to work every time. means you’re going to have to follow along. You can’t be that “guy” (or girl) that sits around the pool with their t-shirt on. 17 to Lean Body Diet, as well as the exact one I give me clients. It would be physically impossible to make this any easier to use. thousands of satisfied clients you know it works. “How to Lose 7-21 lbs in 17 Days” cont. Lean Body Diet Approved Foods cont. pills that are really just “heart-attack capsules” in the making. #2. I don’t fool around with theory or use you as the guinea pig for my little experiments. 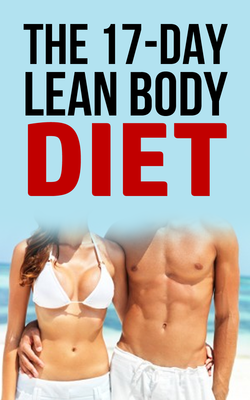 The 17 to Lean Body Diet Plan has been tested and it is approved by me. cellulite, and flatten out chubby folds that shouldn’t be there. only do most meals take less than 5 minutes to prepare they taste great too! style, but I can tell you is that the 17-Day to Lean Body Diet works like it says it will. It’s quick, it’s easy, and it works! to Lean Body Diet at 30% off during my Weight Loss Special! I’m here to help you get results and that’s the bottom line! That’s right! You get 10 progressive video follow along workouts designed to burn maximum fat and peel the fat off your body revealing the lean body and chiseled abs that you’ve always wanted. These 10 workouts will take you through a four week transformation period intense with metabolism boosting 20 minutes workouts. And throughout the entire time I’ll be training with you every step of the way – set after set, and rep after rep. Just click start on the video and crank out the workouts as I lead you though the complete 12 Week Body Transformation Program! Every follow along workouts is professionally filmed from multiple angles so that you can be sure that you’ll get the form right the first time. They’re intense, fun, and challenging and they’re going to make you leaner than you’ve ever been. I want to make sure that you have everything you need to get your body in top shape and that’s why I created this complete exercise library with hundreds of pictures of every exercise imaginable in great detail and exact descriptions so you never have to worry about not knowing what the exercises to do and how to perform them. 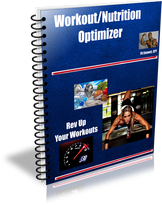 This is like having a personal training exercise encyclopedia at your finger tips. You can’t out train a bad diet. But you certainly shouldn’t deprive or starve yourself just to get lean. In fact fueling your body is critical and the 12 Week Body Transformation Challenge Nutrition Tactics manual give you a real world guide to eating for fat loss without going on a restricted diet. 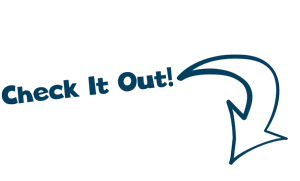 Just follow the simple nutritional tactics in this program to get and stay lean without ever having to “diet”. Like a good challenge? These three follow along Suspension Trainer follow along workouts will take your body and your metabolism to the next level of shredded!